Over the years, surveying technology has gone through 5 significant technology advancements: the electronic distance meter, GPS, total station, robotic total station as well as laser scanning. Unmanned aircraft systems, popularly known as drones is the sixth significant technological advancement. Thanks to the introduction of digital cameras, affordable drone technology and leaps in close-range tilted aerial photography, the potential of drones in land surveying is quite exciting. Drones used in survey are always equipped with several crucial pieces of scanning technology. These include 3D laser scanning devices sweep across the entire area and afford the surveyor highly accurate images and concepts of what the landscape really looks like. The data generated by the 3D scanners can be employed in a GIS mapping process to create digital maps through the application of cartographic sciences, specialised computer skills as well as statistical analysis. Not only are the maps generated by this process easy to use and of high definition, but also pretty precise in terms of giving details about the area. The GIS maps and other forms of data are stored by means of cloud technology such that what is being surveyed by the drone and the ensuing reports are instantly uploaded to a network server that is only accessible by authorised parties. This provides a much quicker way to inform land surveyors of the outcomes of land surveys so that they can make informed decisions. 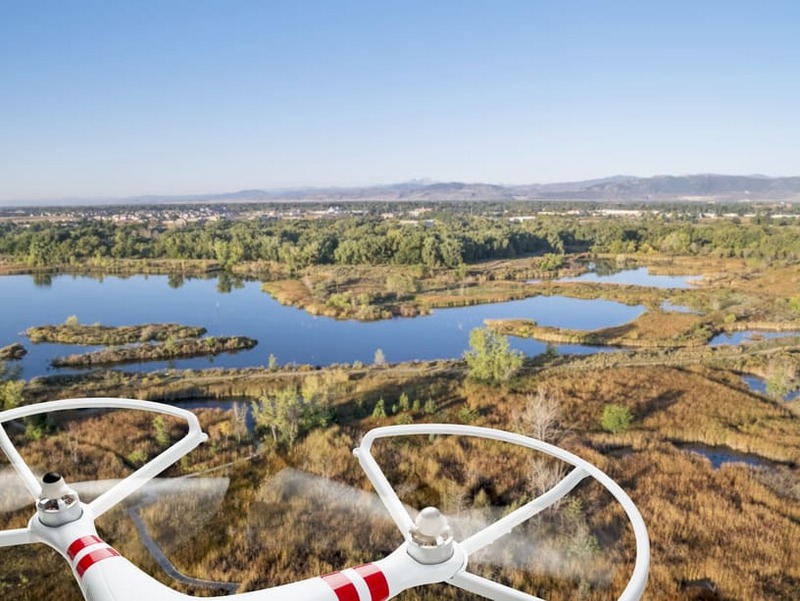 In several ways, drone technology is suitable for land surveying, including the capacity to scan and correctly measure different land types over challenging and sometimes unreachable terrains. It’s also proven that the drone technology significantly reduces survey time. Land surveyors can fly the drones for several minutes over large hectares of land. In contrast, it will take several hours or even days to carry out ground control points for the same job. Therefore, if you can circumvent the ground control point set-ups, you instantly save lots of time and manpower. Rather than spending several days on a large parcel of land, you can survey the entire the land in only a few hours using drone technology. Bear in mind that almost sixty percent of the total cost of a survey goes to the team’s logistics. Therefore, the reduced timeframe to carry out surveys translates into reduced logistical costs. With the increase in complexity of applied robotics, there’s no doubt that the potential of surveying drones and the scope of data that they can generate will only continue to increase. Drone technology can be relied upon to generate highly precise, detailed maps more quickly and efficiently in comparison to traditional techniques of dispatching survey teams on the ground. Copyright 2017. SurveyEng Ltd. All Rights Reserved.